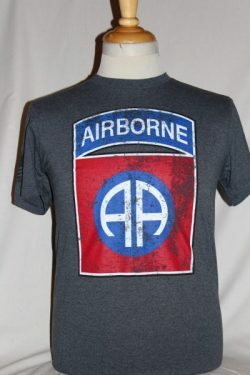 The US Army 82nd Airborne Distressed T-shirt is a single sided print in Heather Navy. 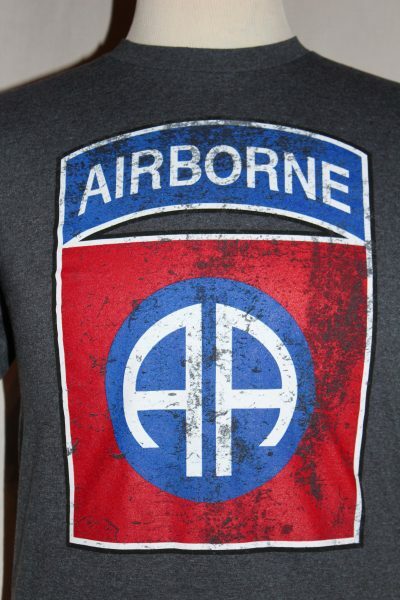 Front Design Only: US Army 82nd Airborne Insignia. Screened in four colors with text.